I do not know what you define as baby food. In our household it is NOT what you will find in stores–brown mixtures stored in tiny jars! Not at all! 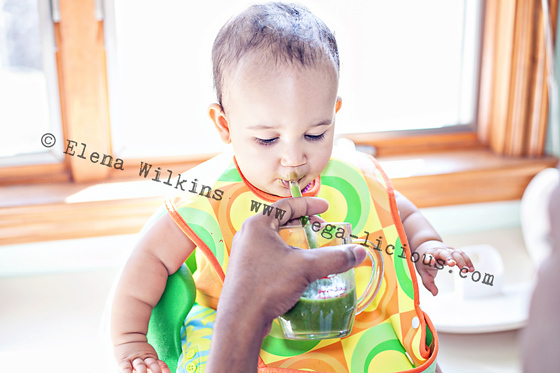 In our household baby food is anything that is healthy, vibrant, and mostly raw. In our household it is EVERYTHING, 🙂 which makes feeding Sprout easy and fun. We do avoid salt in her foods altogether, but outside of that, if we eat it, she can eat it too. We do have to mash/blend foods, since she barely has a tooth now (still teeny tiny), however, it takes only a second to do. 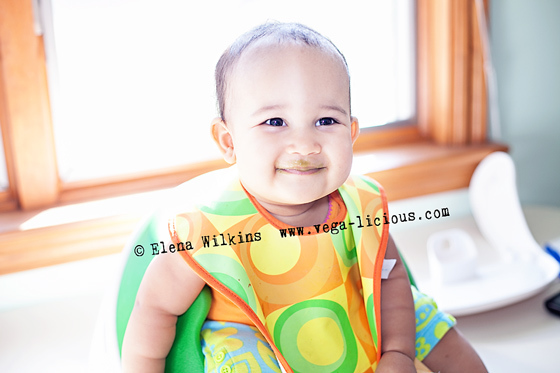 She is now going through a new stage–she wants to hold her own food. Most of the times she does not know what to do with it, so she mashes it in her hands, and throws it down. It is funny, since she grabs any object around her and always takes it into her mouth first, but not with food. Not a big deal–she needs to start and learn somehow. In the last couple of days, however, with Mommy’s assistance, she has been learning to take her little hands to the mouth. We start with things she won’t choke on, like bread. Sprout’s food repertoire is quite large–anything we eat, she can too. I do have favorites, of course :). 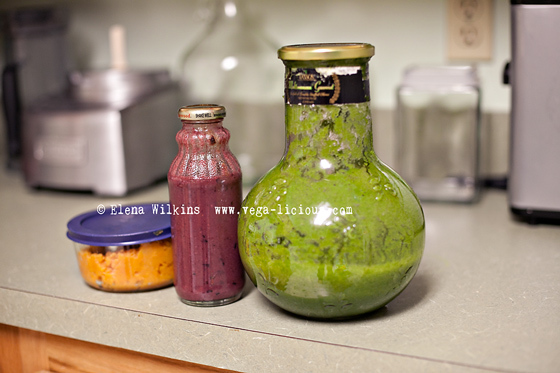 Things like sweet potatoes, green smoothies, fruit smoothie and whole grains (cooked and mashed). I personally love to incorporate all the colors of the rainbow into her diet. There is nothing more simple! Simply peel, chop, boil in plain (filtered water). When cooked, strain most water, leaving some to give potatoes a creamy texture, and mash or blend. That’s it! When my cooked potatoes cool, I place them in a glass container and refrigerate. One large potato normally lasts Sprout about 3 days, since we incorporate other foods too.